Learn how to make lip balm from scratch with this project. 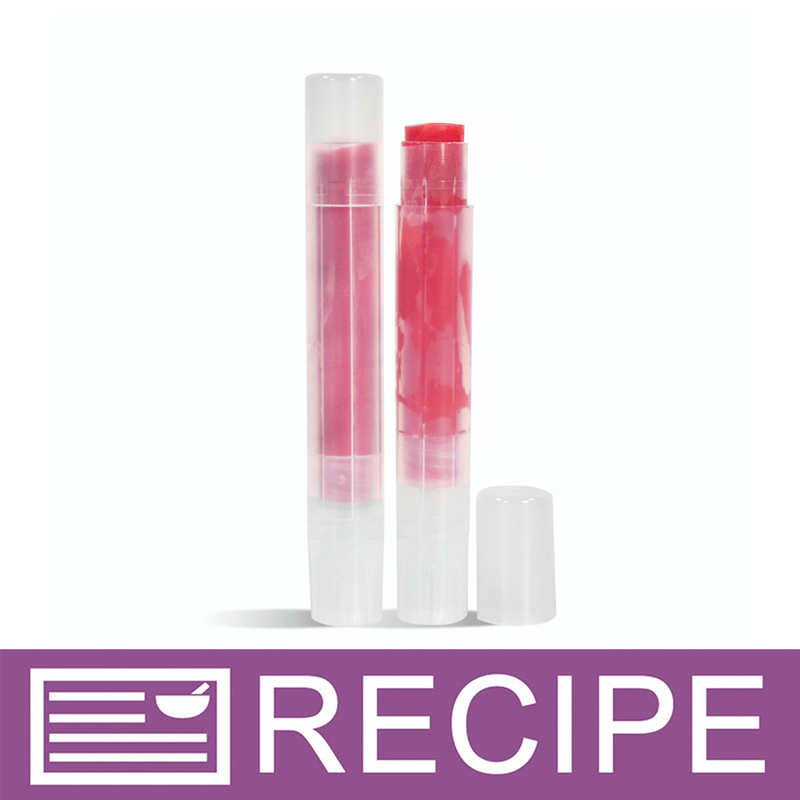 The ratio of oils/butters to beeswax used in this recipe creates a soft and creamy lip balm your customers will love! 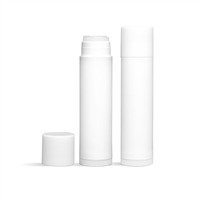 The lip balm packaging used is our round slim natural lip tube set. 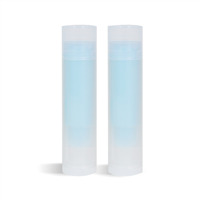 These hold half the amount of lip balm as a standard lip balm tube allowing you to create a greater quantity of products to sell! You Save $10.12 by purchasing this kit rather than buying the items separately. COMMENTS: The recipe I'm sure is good but I messed it up by accidently putting too much flavor in the recipe. Was not impressed with the tube size. This needs to be bigger in order to sell. COMMENTS: The Strawberry FO used in the recipe is very bitter,left an after taste, had to throw out my batch. Dissapointed. But i love the oils in the recipe. COMMENTS: This was my first kit purchase from WSP. I was a little worried about the review that said the flavor oil was bitter. So before making 40+ lip balms, I decided that I should make a smaller test batch. I also tasted the oil out of the bottle as well... So the answer to the taste is: In the lip balm, it smells good and I really couldn't detect much of a taste, unless the flavor oil is not well mixed in the lip balm oils, then you might get a bitter spot. And it is most definitely bitter straight out of the bottle. I would describe that taste as similar to what you get when you use an artificial sweetener, just more concentrated. I really liked the actual ingredients for this recipe. There are just a few, which I like. The lip balm was smooth and cream to apply, not too waxy. I used some pink sparkle mica to tint the balm. I used just a tiny amount, less than 1/8 of a teaspoon. It came out a very light pink in the tube and but it is light enough that there isn't any color that shows on your lips, which makes it good for men too. "An amazing product. A must buy. Customers love it." COMMENTS: This is one of the best products I have purchased. The customers love they were buying 3 & 4 at a time. It Goes on smooth and is very moist. WSP lip balm kits are the best. Thank you. COMMENTS: Although I didn't get 11 balms out of the recipe like it stated, the ones I did make came out very nice. 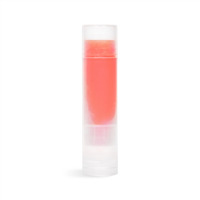 The ingredients leave a nice soft feeling on your lips without being greasy. The tubes are an excellent size. COMMENTS: I loved this kit. Easy instructions and easy to make. It wasn't hard to pour into the tubes which was nice. The only thing I changed was the flavored oil. The sugared strawberry that comes with it is bitter, and not great tasting. I used instead Strawberry Sorbet flavored oil, and it is amazing. "Creamy Berry Lip Balm Kit "
COMMENTS: This product was so easy to make. And is a great product. Leaves your lips, feeling so smooth and soft, and the flavor is wonderful. "If I wanted to substitute a regular FO for lip balms, how much sweetener do I use and I can I add it to any regular FO"
Staff Answer You must look at the IFRA Guidelines for each fragrance to see if they can be used in lip products. Most fragrances cannot be used. Sweetener should be added in small amounts as too much can make the fragrance bitter. "If I wanted to divide the recipe to make other scents, how would i split the recipe? For ex: I want to make 4 in one scent, 3 in another and 4 in another , but using the same recipe for 11 tubes. When I tried the finished product, when I lick my lips , it has a weird taste to it. I dont know if It's the FO I'm tasting? " Did you use a flavor oil specifically for lip balms or a regular FO? When I first started out, I used a FO, not realizing there was a difference. To subdivide the recipe into different flavors, I would add all the ingredients minus the flavoring. Use a measuring cup to put the mixture into 4 different small containers. Then add the flavoring to each small container. I used the sweetened FO the recipe called for. I bought the kit.